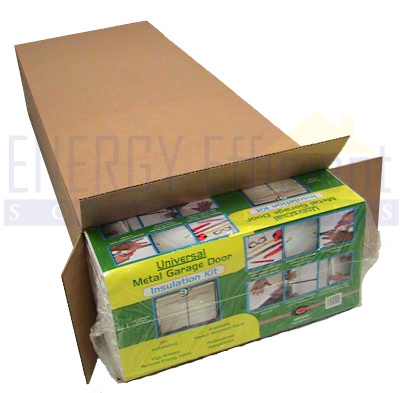 This garage door insulation kit for sale typically qualifies for $7.00 in energy tax credits. 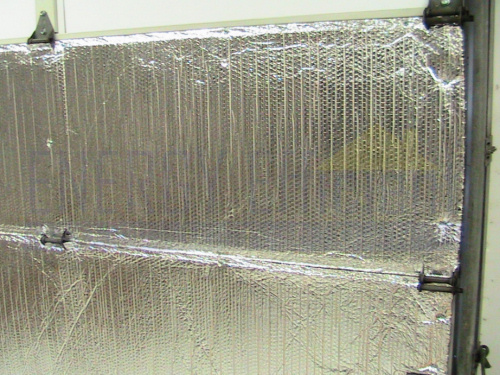 If you have an uninsulated garage door then this retrofit garage insulation kit is the best solution to make your garage more comfortable in both the summer and winter. The foam insulated garage door panels included in this kit are 54" wide x 20" tall to fit virtually all standard residential garage doors. 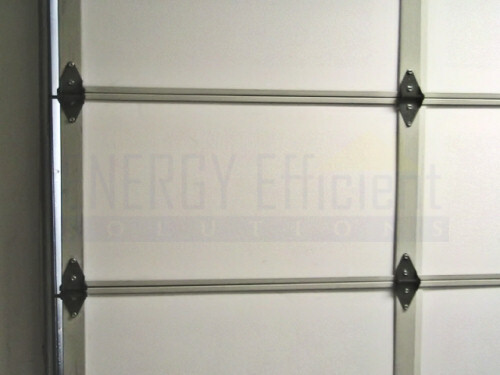 Rigid foam panels do not sag or fall out like the fiberglass type garage door kits. One garage door insulation kit will fit a single car garage door up to 9 ft wide while two kits will fit a double car garage door up to 18 ft wide. 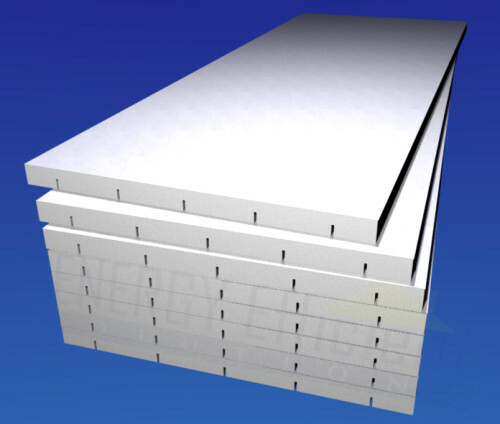 The high quality Expanded Polystyrene (EPS) core may assist in lowering utility bills while making the garage more comfortable as a workshop. The exposed panel face is covered by a High Impact Styrene (HIPS) laminate which enhances the appearance and provides superior durability and is easy to clean. Insulated garage doors generally create a quieter atmosphere and operation. 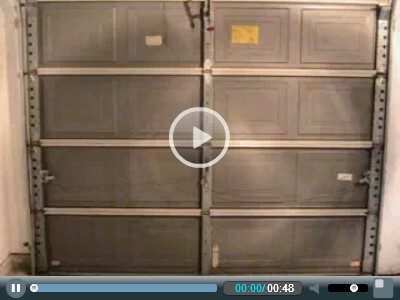 Installation of this insulated garage door kit is typically completed in less than an hour using only a few household tools..
Pre insulated metal garage doors cost hundreds of dollars more than standard uninsulated doors. Why pay more when you can easily add the same foam panel insulation to an uninsulated door for much less? Panel Size: 20" x 54" x 1 1/4"
1. 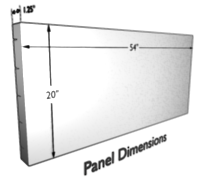 Measure the inside widths of your insulating garage door panels. Keep in mind that different panels on the same door may be different widths. 2. The garage door foam insulation panels in this kit are 54 inches wide. If your door panels are less then 54 inches you will have to trim them down. The easiest way is to use a straight edge and utility knife to cut the panel to the proper width. 3. (Optional) You can cut and insert excess material behind any of the vertical rails before installing the larger panels. 4. 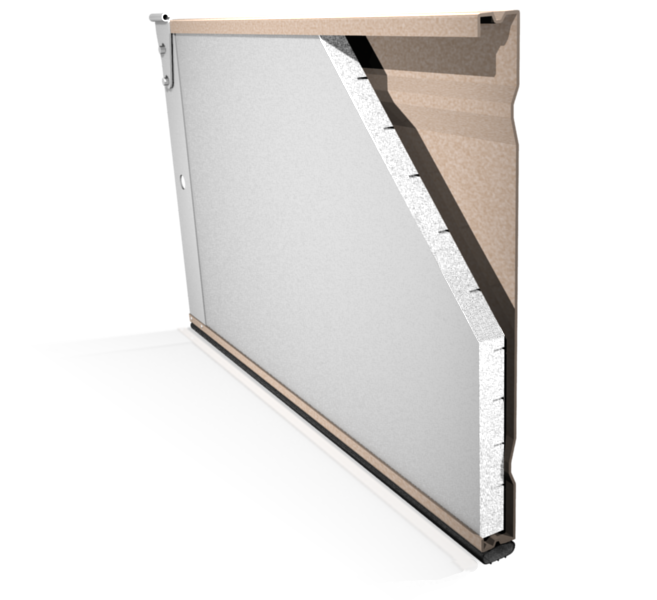 Insert each garage door insulation panel behind the folded horizontal running lips. Each panel is kerfed (slotted) on one side to allow it to bow in one direction. The side with slots faces the garage door while the side with the smooth plastic faces the interior of your garage. The panel will flex enough to allow you to insert one edge, bow, and then insert the other edge.